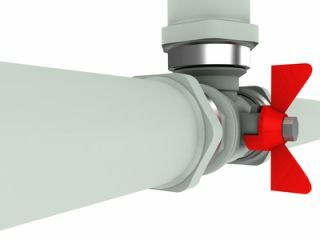 Bluewater Plumbing, Heating and Air Conditioning has been the Queens plumber that both home and business owners have turned to for all their plumbing repair and remodeling needs. Whether you are need a quick fix on a leak, or are looking to completely renovate your plumbing system, we can help you with every detail along the way. We offer fast, reliable plumbing services in Queens and the surrounding areas of New York that stay well within you budget. We cover every room, every pipe, and every plumbing fixture with our comprehensive line of services and products. With our team, you can rest assured your plumbing system is in good hands. Call us today to learn more about the many plumbing services we can provide for your home or business in New York. 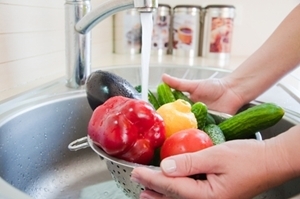 We provide full plumbing repairs on all plumbing systems for both home and residential properties. We can cover all types of plumbing issues no matter how large or small. 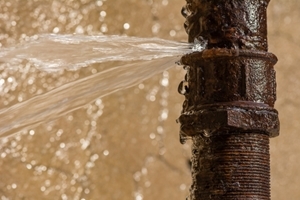 We repair everything ranging from indoor pipes, to fixtures, faucets, all types of connections outside faucets and piping. We offer complete custom plumbing installation to your exact specifications. single room renovations to entire homes, we can help design and install plumbing that works for you. We do all types of installation on all types of piping both old and new. 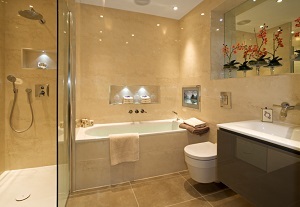 We also offer complete bathroom remodeling. We provide comprehensive service for all bathroom fixtures, faucets, toilets, tubs, and showers. Since bathroom plumbing is generally more complicated and delicate than other areas of your home, you can trust our professionals to provide quality work. 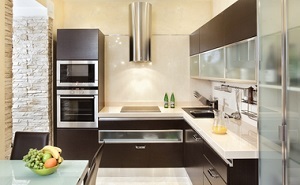 Looking to give your kitchen a brand new look? Check out all of the amazing products available to you from Bluewater Plumbing, Heating and Air Conditioning. Whether you like a more traditional look or are going for a cutting edge modern kitchen, we can help you by installing great looking products that are perfect for your personal taste! Our talented Queens plumbing services team can inspect your system in order to identify where backflow is occurring in the pipes. Tests are performed routinely and necessary adjustments or treatment is given in order to prevent backflow anywhere along the plumbing network. Call today to learn more about this service and the various types of backflow preventers we can install for your home or business. Protect your health. Learn about backflow today. You can add the finishing touches on your plumbing system by installing quality designer fixtures. 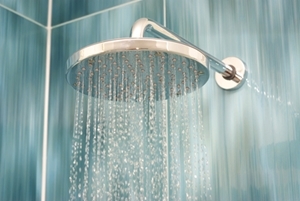 Installations include complete faucet kits for tubs, showers and sinks. We also install garbage disposals and other specialized fixtures for kitchens, bathrooms and anywhere else you need access to water. With Bluewater Plumbing, Heating, and Air Conditioning you can feel confident that your entire drain system will be de-clogged and given a thorough cleaning restoring it back to new. This gives the water in your home maximum flow and clear draining passage. All drains are different. 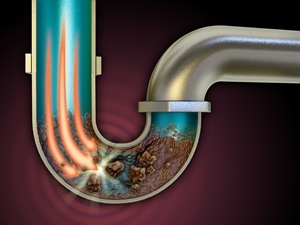 Whether it's your kitchen, bathroom, tub, shower, or floor drain, we can completely destroy all blockage in your pipes. 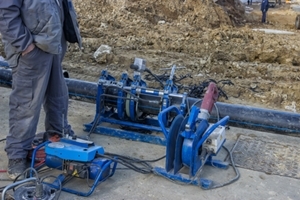 Utilizing sophisticated state of the art equipment and tools we can locate all types of systems down below the surface of your property including gas lines, water lines, sewer systems, storm systems, irrigation and septic field systems, and underground storage tanks. We can identify both metal and PVC or plastic pipes. 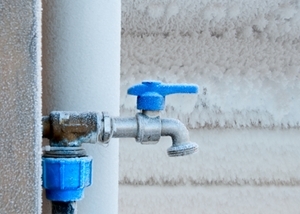 When having your pipes professionally thawed insures that all ice is cleared out of your pipes without incurring any damage to the plumbing system. We also provide practical solutions for insulating your pipes in order to keep them from freezing up during the harsh New York winters. At Bluewater Plumbing, Heating, and Air Conditioning we care about the the environment and taking care of this beautiful planet of ours. 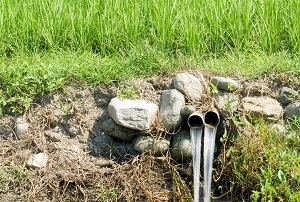 We offer green plumbing that help create sustainable water for communities. We understand our role in keeping the water and the earth clean, and we can help you play an active part. Natural gas is a wonderful tool to heat your home or heat water. However, the gas line system needs to be properly maintained to avoid leaks. 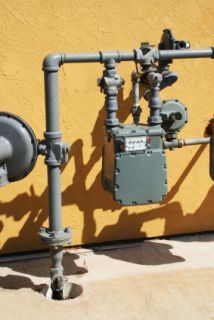 Too many homeowners neglect the gas lines in and outside their homes. 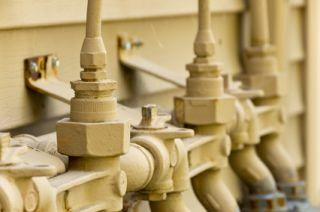 Steel gas lines have a life expectancy of around 50 years. Unfortunately, utility gas lines across the nation could be much older. In fact, a rupture in California which destroyed several homes in a neighborhood was found to have gas lines more than 50 years old. It's important to find a qualified Queens plumber for gas leak repairs. Gas leaks are not something that can wait. 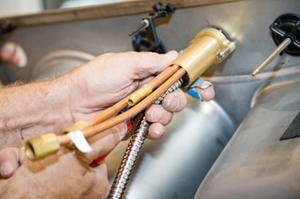 You will need to find a licensed plumber who's license states that they are a gas plumber. Only a trained and qualified plumber should work on gas lines. It is not only for your safety but also the safety of the community you live in. If you need plumbing services in Queens or the surrounding areas of New York, please call 866-763-5302 or complete our online request form.